We didn't get any new hardware back at Google I/O, but we've heard plenty about a new Nexus 7 on course to be announced sometime this month. Time is running out, but now Engadget has gotten some leaked details that seem to confirm most everything we've heard so far. According to the leaked spec sheet screenshot, the new 7's will come with (obviously) a 7-inch screen, a quad-core 1.5GHz CPU, front-facing and external cameras, Android 4.3, wireless charging, and a Slim Port for throwing 1080p content up on your TV. 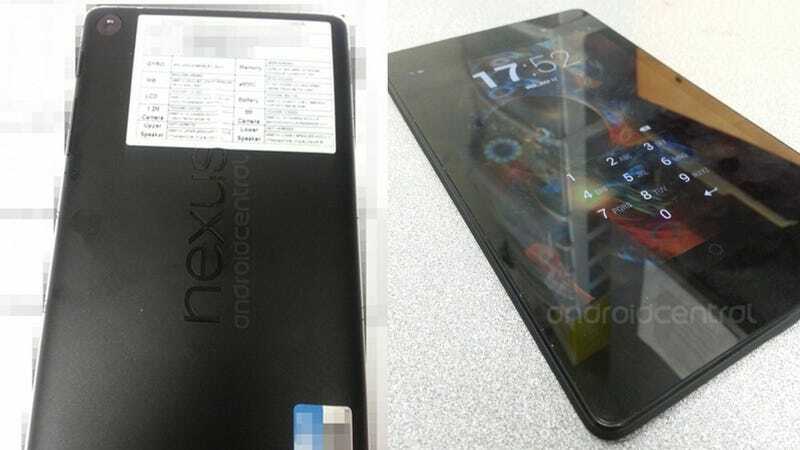 Is This the Next Google Nexus 7?